Red Hand Day, takes place annually on February 12, to draw attention to the plight of Child Soldiers throughout the world and highlight the problem of children who are forced to serve as soldiers in wars and armed conflicts, and to call for action against the practice, and to support children affected by it. Children have been used repeatedly as soldiers in recent years in armed conflicts in the Democratic Republic of the Congo, Rwanda, Uganda, Sudan, Côte d’Ivoire, Myanmar, Philippines, Colombia, and Palestine. Rehabilitation for child-soldiers returned to their communities ranges from inadequate to non-existent. English naturalist Charles Robert Darwin, FRS was born in Shrewsbury, Shropshire, England on 12 February 1809 at h, The Mount.,Shrewsbury. He was the grandson of Erasmus Darwin on his father’s side, and of Josiah Wedgwood on his mother’s side. As an eight-year-old Charles already had a taste for natural history and collecting. From September 1818 he joined his older brother Erasmus at the Anglican Shrewsbury School as a boarder.Darwin spent the summer of 1825 as an apprentice doctor, helping his father treat the poor of Shropshire, before going to the University of Edinburgh Medical School with his brother Erasmus in October 1825. In Darwin’s second year he joined the Plinian Society, a student natural history group whose debates strayed into radical materialism. He assisted Robert Edmond Grant’s investigations of the anatomy and life cycle of marine invertebrates in the Firth of Forth, and on 27 March 1827 presented at the Plinian his own discovery that black spores found in oyster shells were the eggs of a skate leech. He learned classification of plants, and assisted with work on the collections of the University Museum, one of the largest museums in Europe at the time. Charles then went to to Christ’s College, Cambridge, for a Bachelor of Arts degree as the first step towards becoming an Anglican parson. His cousin William Darwin Fox introduced him to the popular craze for beetle collecting and He became a close friend and follower of botany professor John Stevens Henslow and met other leading naturalist. Darwin Stayed at Cambridge until June. He studied Paley’s Natural Theology, which made an argument for divine design in nature, explaining adaptation as God acting through laws of nature. He read John Herschel’s new book, which described the highest aim of natural philosophy and Alexander von Humboldt’s Personal Narrative of scientific travels. Inspired with “a burning zeal” to contribute, Darwin planned to visit Tenerife with some classmates after graduation to study natural history in the tropics. In preparation, he joined Adam Sedgwick’s geology course, then travelled with him, in order to map strata in Wales. 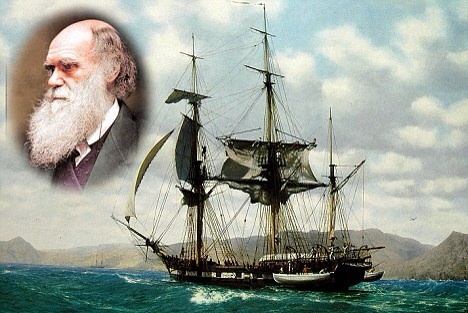 After a week with student friends at Barmouth, Darwin returned home on 29 August to find a letter from Henslow proposing him as a suitable gentleman naturalist for a self-funded supernumerary place on HMS Beagle with captain Robert FitzRoy to chart the coastline of South America. The voyage began on 27 December 1831; it lasted almost five years. As FitzRoy had intended, Darwin spent most of that time on land investigating geology and making natural history collections, while the Beagle surveyed and charted coasts. He kept careful notes of his observations and theoretical speculations, and at intervals during the voyage his specimens were sent to Cambridge together with letters including a copy of his journal for his family. He had some expertise in geology, beetle collecting and dissecting marine invertebrates.On their first stop ashore at St. Jago, Darwin found that a white band high in the volcanic rock cliffs included seashells. Fitzroy had given him the first volume of Charles Lyell’s Principles of Geology which set out uniformitarian concepts of land slowly rising or falling over immense periods, and Darwin saw things Lyell’s way, theorising and thinking of writing a book on geology. In Brazil Darwin was delighted by the tropical forest, but detested the sight of slavery. At Punta Alta in Patagonia he made a major find of fossil bones of huge extinct mammals in cliffs beside modern seashells, indicating recent extinction with no signs of change in climate or catastrophe. He identified the little known Megatherium by a tooth and its association with bony armour which had at first seemed to him like a giant version of the armour on local armadillos. The finds brought great interest when they reached England. On rides into the interior to explore geology and collect more fossils he gained social, political and anthropological insights into both native and colonial people at a time of revolution, and learnt that two types of rhea had separate but overlapping territories. Further south he saw stepped plains of shingle and seashells as raised beaches showing a series of elevations. He read Lyell’s second volume and accepted its view, but his discoveries and theorising challenged Lyell’s ideas of smooth continuity and of extinction of species. Darwin also experienced an earthquake in Chile and saw signs that the land had just been raised, including mussel-beds stranded above high tide. High in the Andes he saw seashells, and several fossil trees that had grown on a sand beach. He theorised that as the land rose, oceanic islands sank, and coral reefs round them grew to form atolls. On the geologically new Galápagos Islands Darwin looked for evidence attaching wildlife to an older “centre of creation”, and found mockingbirds allied to those in Chile but differing from island to island. He heard that slight variations in the shape of tortoise shells showed which island they came from. In Australia the marsupial rat-kangaroo and the platypus seemed really unusual. The Beagle investigated how the atolls of the Cocos (Keeling) Islands had formed, and the survey supported Darwin’s theorising. 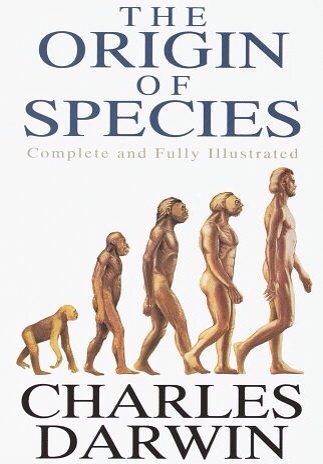 Upon it’s publication On the Origin of Species proved unexpectedly popular,In the book, Darwin set out “one long argument” of detailed observations, inferences and consideration of anticipated objections, and states that many more individuals of each species are born than can possibly survive so there is a recurring struggle for existence, it follows that any being, if it changes in any manner helpful to itself, will have a better chance of surviving, and thus be naturally selected. 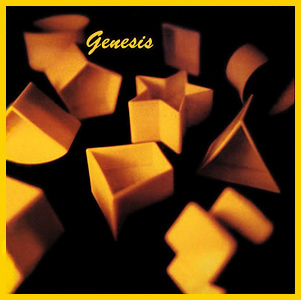 From the strong principle of inheritance, any selected variety will tend to propagate its new and modified form. He put a strong case for common descent, but avoided the then controversial term “evolution”, The book aroused international interest, although there was less controversy than had greeted the popular Vestiges of the Natural History of Creation,The Church of England’s response was mixed. Darwin’s old Cambridge tutors Sedgwick and Henslow dismissed the ideas, but liberal clergymen interpreted natural selection as an instrument of God’s design.